Reports are designed for print cost analysis and client billing. 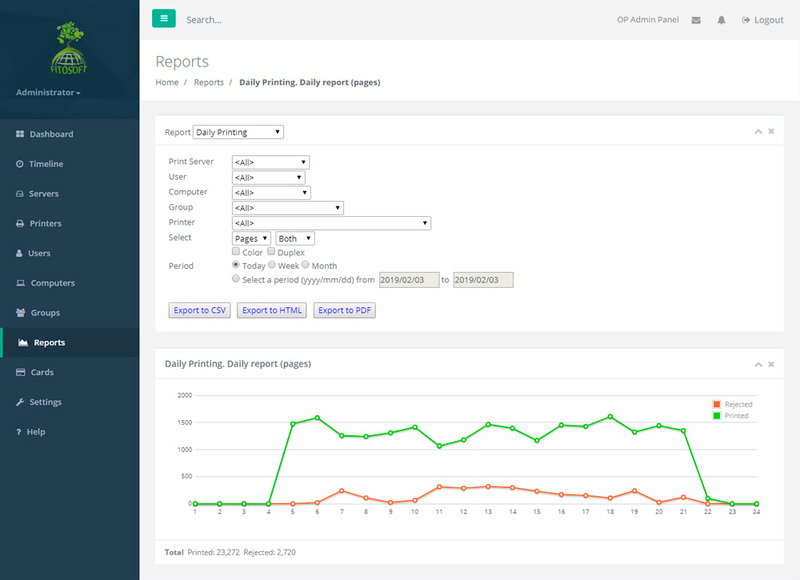 Reports are typically run to print a summary of user activity, printer activity, group activity or computer activity. Standard reports include statistics for users, printers, computers and groups (sorted by period). OP allows you to create your own custom reports. There is no limit to the number of reports you can create. Reports have a date range selection tool (date/time picker) that you can use to change the range of data you are viewing in the report. You can send a report of the use of printers via email. See details.